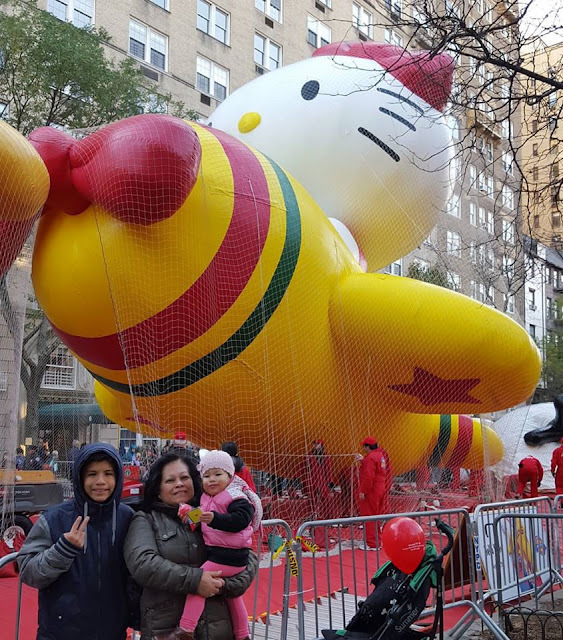 We are obsessed with Hello Kitty and we were very excited to see her ballon up close. The cutest rainbow caterpillar you ever did see. 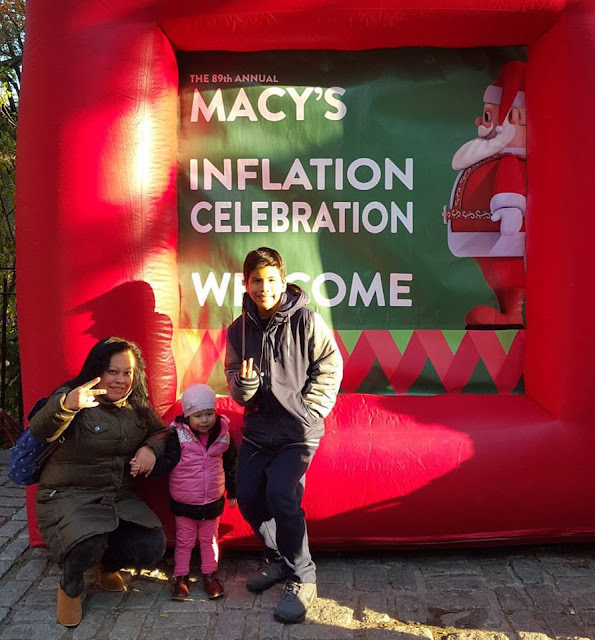 Another year at the Macy's Balloon inflation. Part of our Thanksgiving eve tradition is going to the Macy's thanksgiving day balloon inflation. 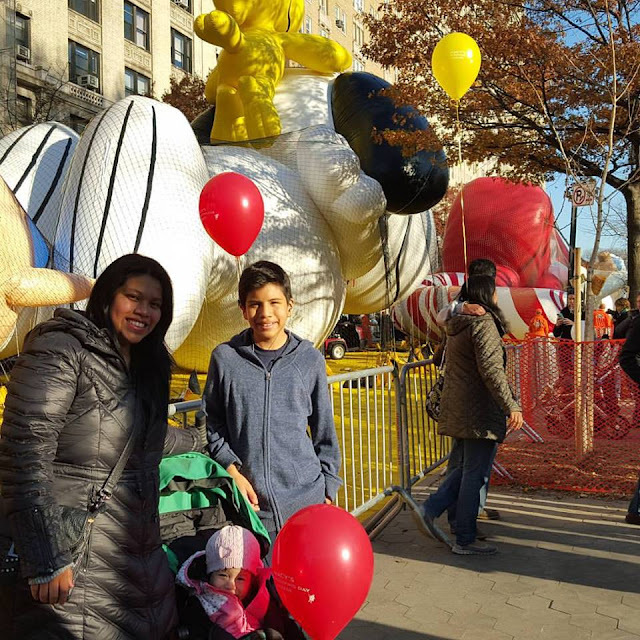 In 2013 we went with Valentina in my belly and I couldn't stop thinking of her reaction when her time came to see the balloon inflation, but 2014 came and we couldn't go due to the rain and Valentina being a baby. It was a sad year for my son but he understood, instead we stayed in and cuddled up while we watched christmas movies. This year the weather was perfect, even my mom decided to join us. 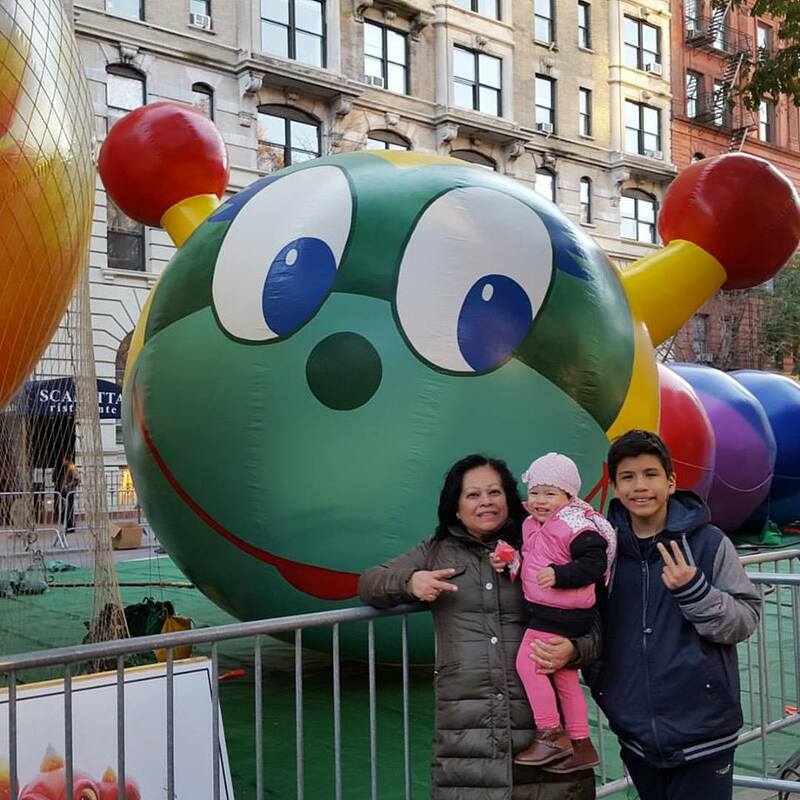 We picked Miguel up early from school and made our way down to the balloon inflation which is actually 3 blocks away from where we live. There wasn't lot of people that it was crowded but there was enough people where you had to steer around them. Valentina loved looking at the big balloons which included a lot of her favorite characters. It was great to see her pointing at Snoopy, Kika (her way of saying Hello Kitty) and many others. It was everything I imagined it would be, she loved it and now we get to share this special family tradition with our little jellybean. Now getting ready to eat, laugh, eat and watch movies tomorrow! 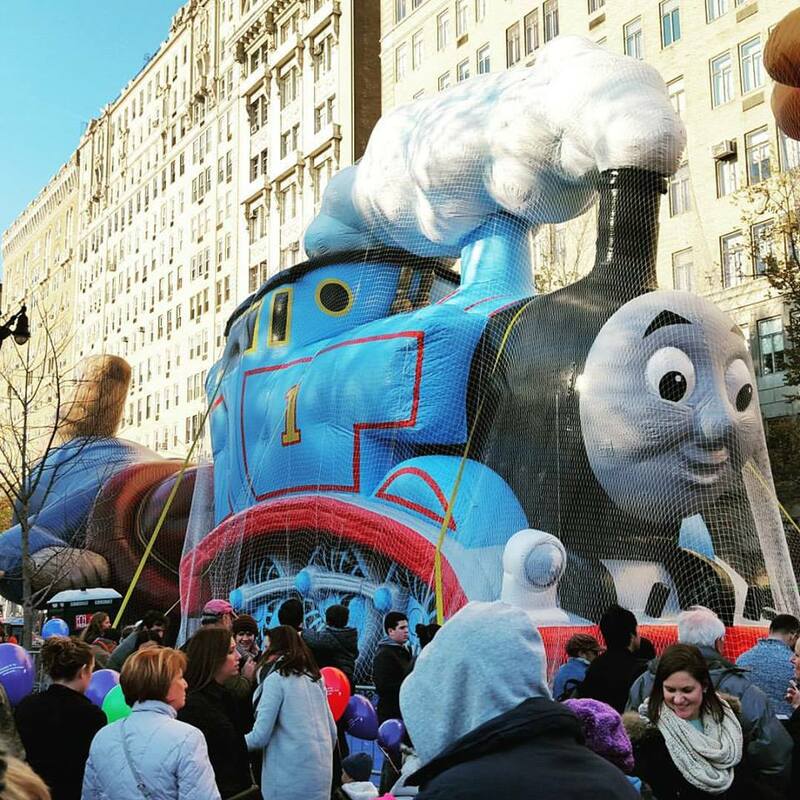 What's your favorite Thanksgiving Eve tradition?